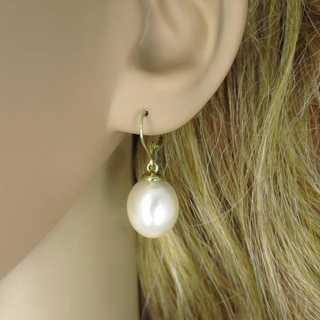 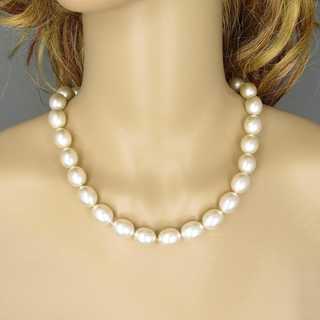 Gorgeous 4-pieces jewelry parure with huge oval sweet water pearls. The set is composed from a necklace, a bracelet and earrings. 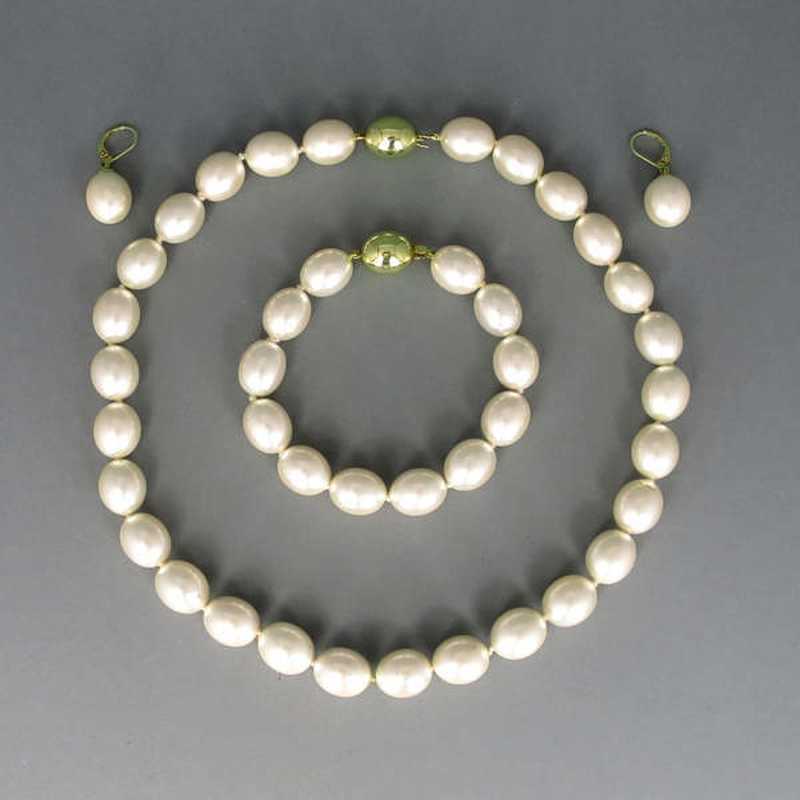 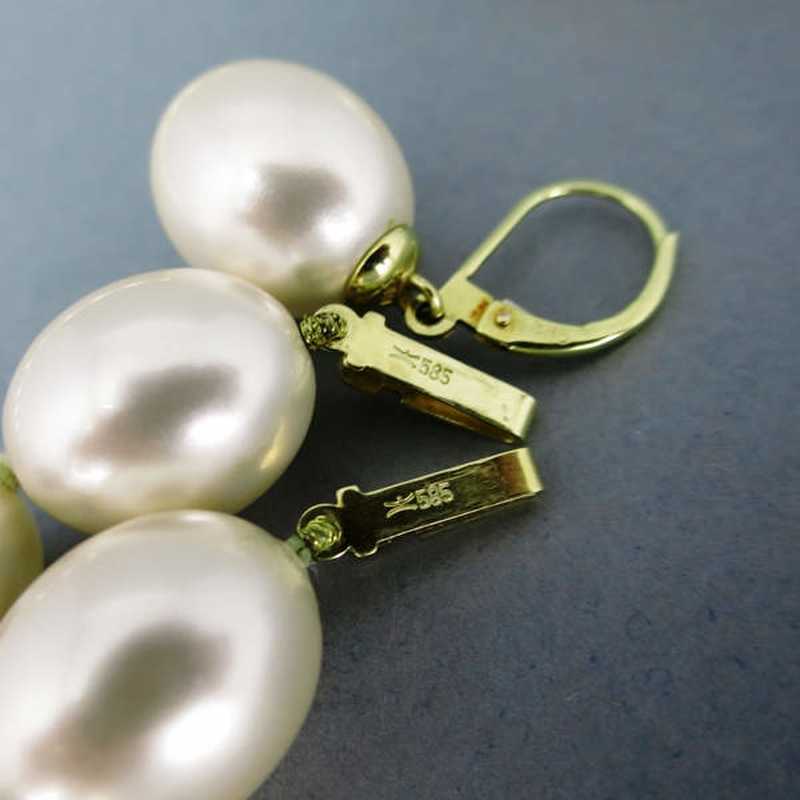 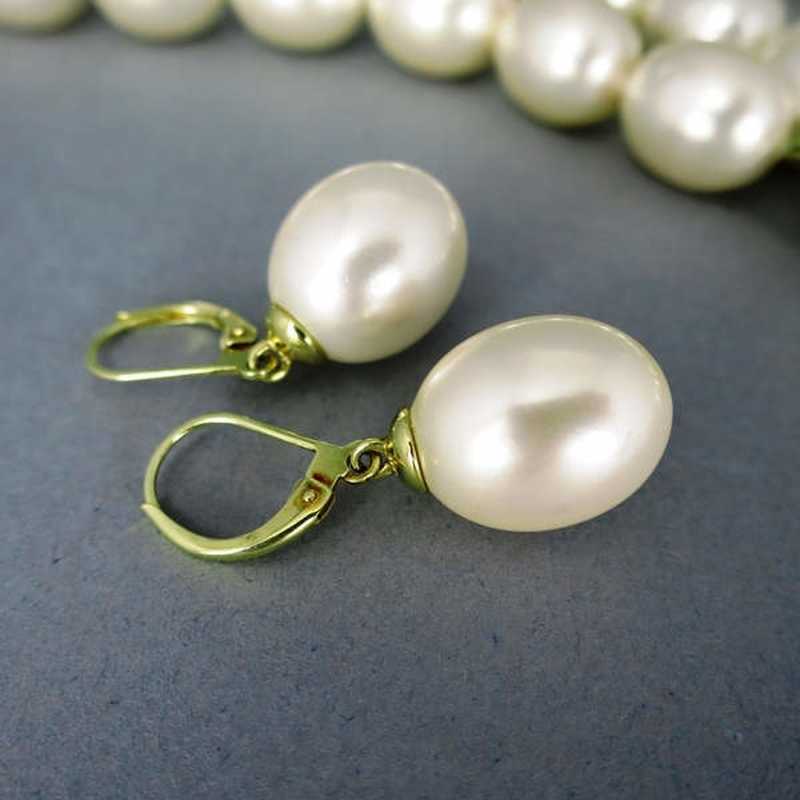 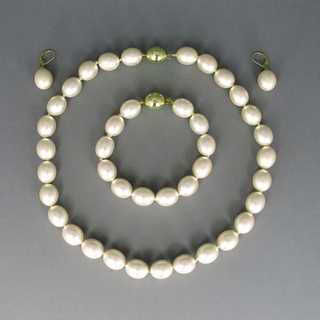 The closures of the necklace and the bracelet have exactly the same form as the pearls. 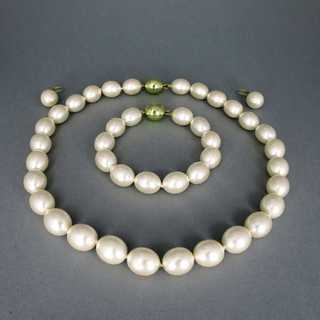 Made about 1950. 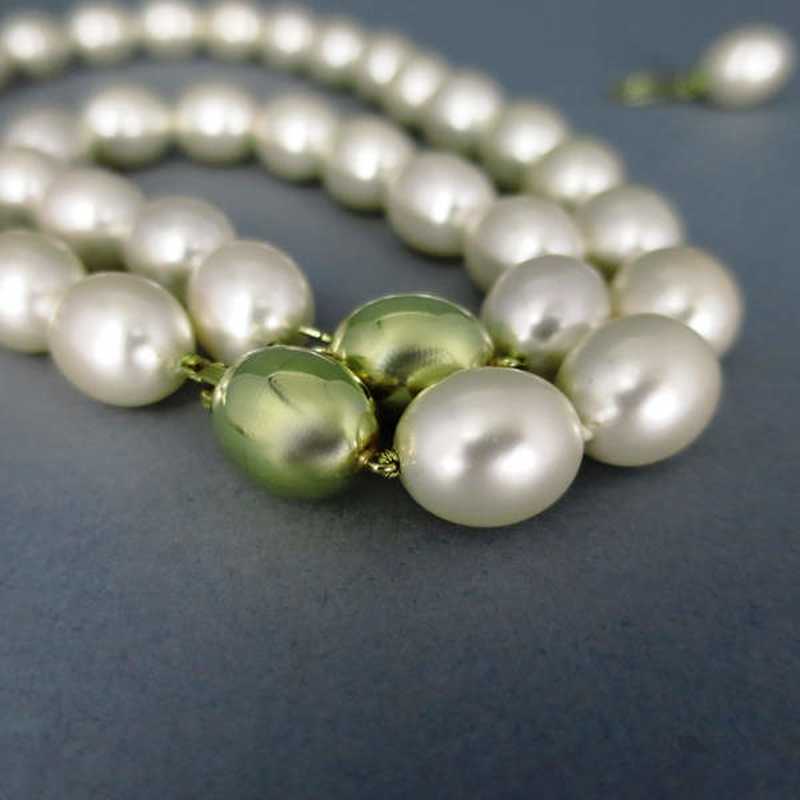 Best preowned condition.